Elephant: Elephants are the largest mammals that live on land in the world. Elephants belong to the family Elephantidae and the order Proboscidea. They are known for their intelligence, and brute strength. The word “elephant” was derived from the Greek word “elaph” which means ivory. At the present time, there are only two major types of elephants namely African elephant, and Asian elephant. There are three sub-species of the Asian elephant, and two sub-species of the African elephant. Although they look slow, these animals can actually outrun the average human easily. The one thing that distinguishes elephants and other animals is that they have a trunk. Elephants use their trunks for many things that are essential to their survival including grabbing food, drinking water, and breathing so it would die without a trunk. Another facial feature of elephants are its tusks which are really just long teeth. 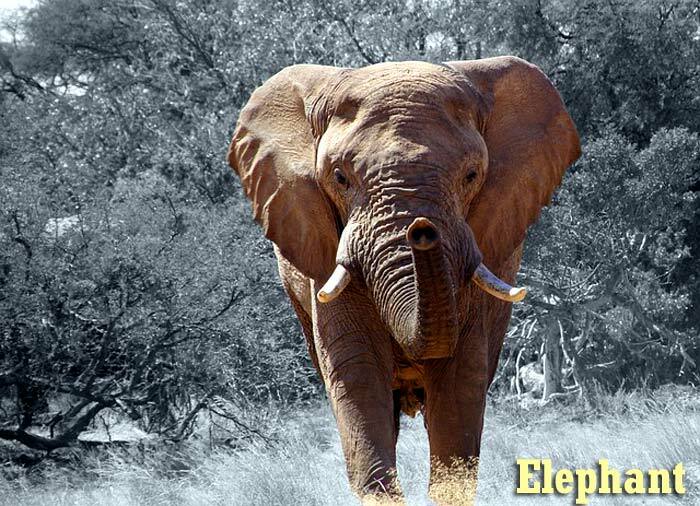 In this page, we will explore all about elephants including their evolution, types, diets, anatomy, habitats, special adaptations, lifespan, predators, and interesting elephant fun-facts & more. 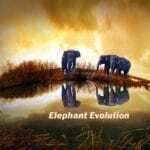 Elephant Evolution: Elephants evolved over a period of millions of years. It took 60 million years for elephants to evolve their long tusks and trunks. The earliest ancestors of elephants looked nothing like elephants. By evolution, bodies of animals became larger and longer. Explore the ancestors of elephants here. Elephants are the largest and heaviest animals on the planet earth. 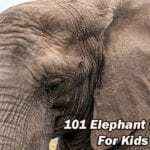 Here are top 101 elephant facts for kids categorized namely anatomy facts, family facts, diet facts, social life facts, 'sad-but-true' facts and some unusual fun facts. Distinguished by their long trunks and huge bodies, the largest land animal is under serious threats. 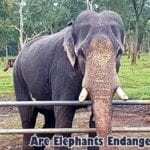 Explore why are elephants endangered in detail here.